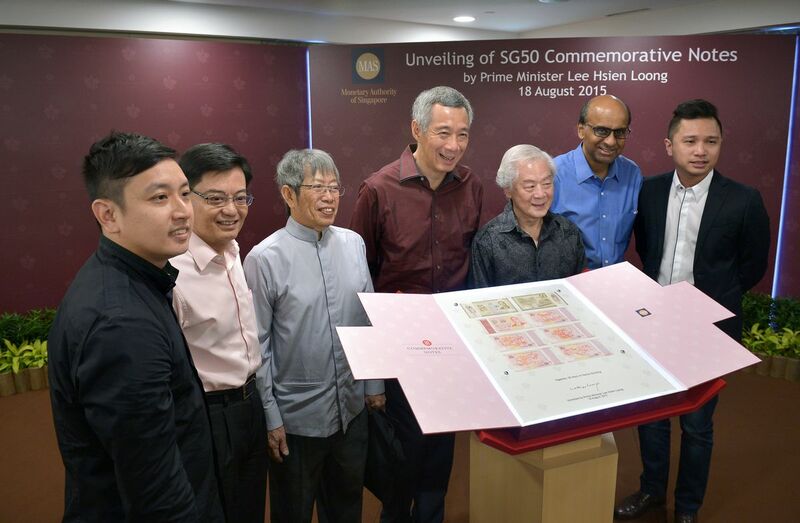 MAS made an embarrassing gaffe in the newly-launched SG50 commemorative notes sets by misspelling the name of Singapore's first President Yusof Ishak twice in the packaging. The name that appears on the folder and in an enclosed booklet, is Yusok Ishak. 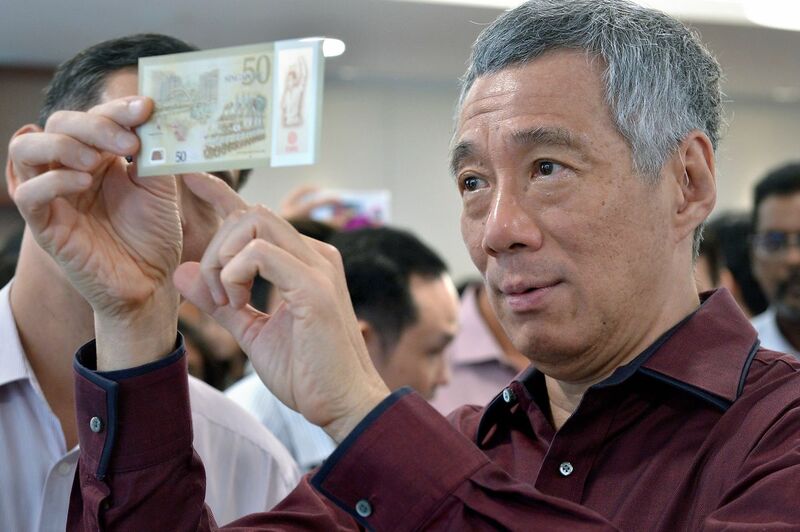 A blurb explaining the design of the special $50 note, reads: "The front design features Mr Yusok Ishak, our first President." 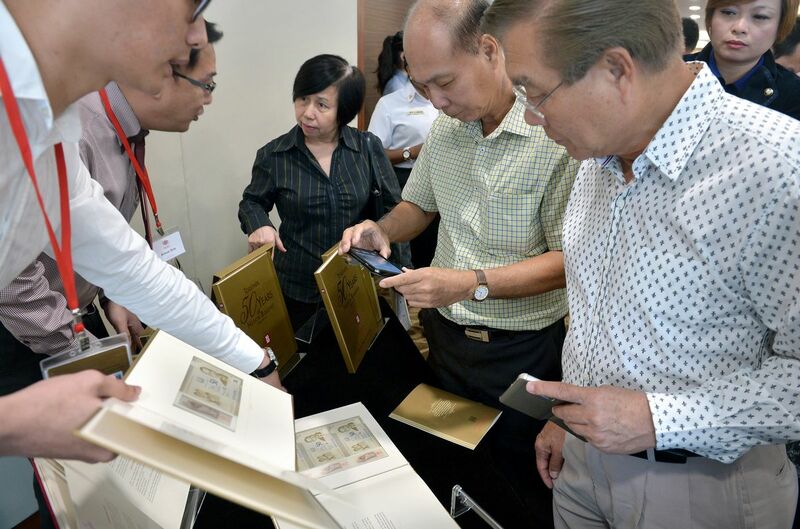 SINGAPORE - The Monetary Authority of Singapore (MAS) made an embarrassing gaffe in the newly-launched SG50 commemorative notes sets by misspelling the name of Singapore's first President Yusof Ishak twice in the packaging. The name that appears on the folder and in an enclosed booklet is Yusok Ishak. 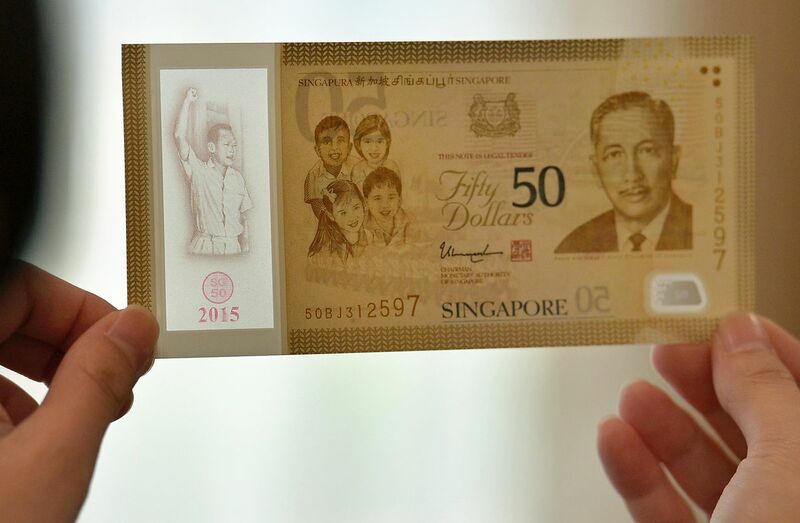 A blurb explaining the design of the special $50 note reads: "The front design features Mr Yusok Ishak, our first President." The late President's portrait is on both the $50 and $10 commemorative notes. The notes, which were launched to the public on Thursday morning, do not contain errors. Mr Ravi Menon, managing director of MAS, which issued the sets, said on Thursday that he took full responsibility for the spelling mistake. "This should never have happened, is not acceptable, and I take full responsibility. I apologise on behalf of my colleagues who worked hard to prepare the notes and folders but are deeply disappointed that we made this most unfortunate mistake. We will put this right," he said. A spokesman for MAS added it is now printing stickers to replace the misspelt part of the name. The stickers will be affixed to the folders from next Tuesday. 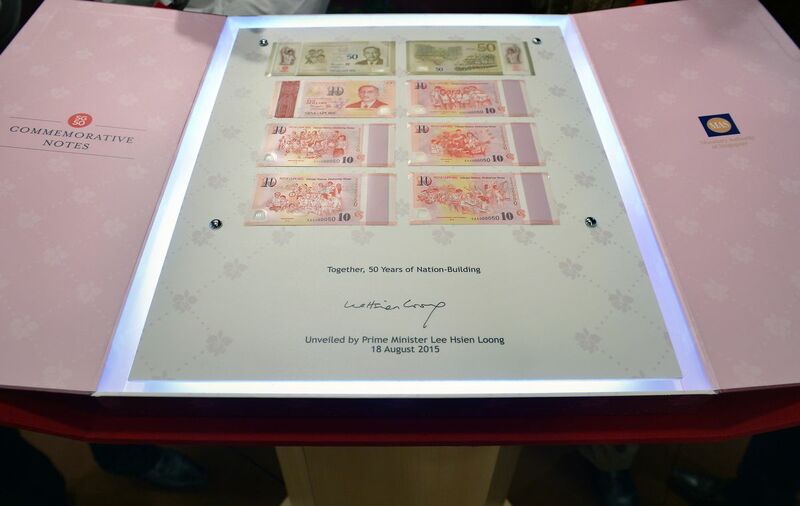 The commemorative notes can be exchanged at face value at nine major retail banks including DBS Bank/POSB, Oversea-Chinese Banking Corporation, and United Overseas Bank. Those who have already got the commemorative notes may also obtain the same stickers from the banks. 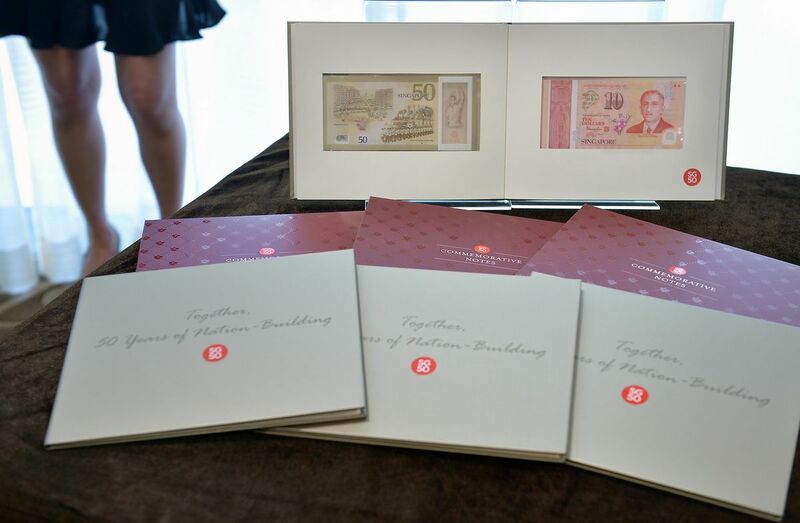 Already, some people who managed to get the commemorative notes sets on the first day are trying to sell it for a profit. A Straits Times check found at least 50 listings of the note sets for sale on e-commerce platform Carousell. A set is worth $100 as it contains one $50 note and five $10 notes, but some Carousell users had marked up the price of one set by between $18 and $100. Some users were also trying to sell the folder packaging without the notes, saying the packaging is "limited edition". MAS is printing a total of 20 million pieces of the $50 notes and 75 million pieces of the $10 notes. There are also 2.8 million specially-designed folders available, although each person can obtain a maximum of two folders. 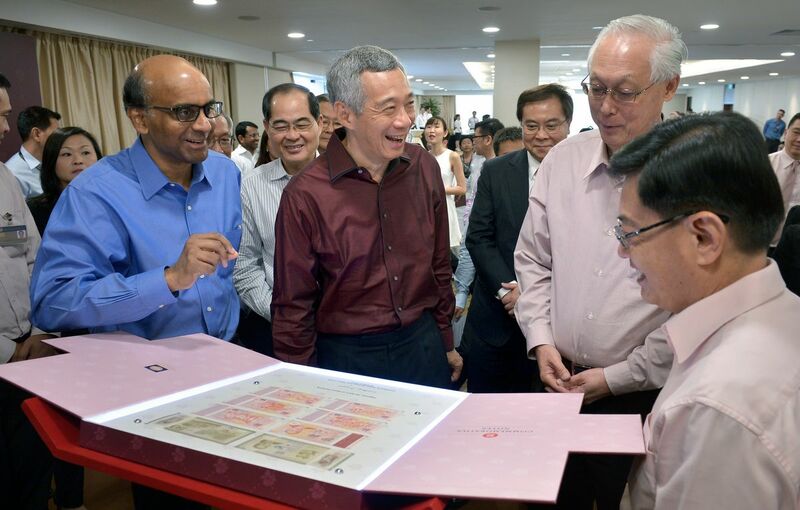 The MAS said on its website that there are enough notes for Singaporeans, who are given priority to exchange their old notes for the new ones from now till Sept 30. 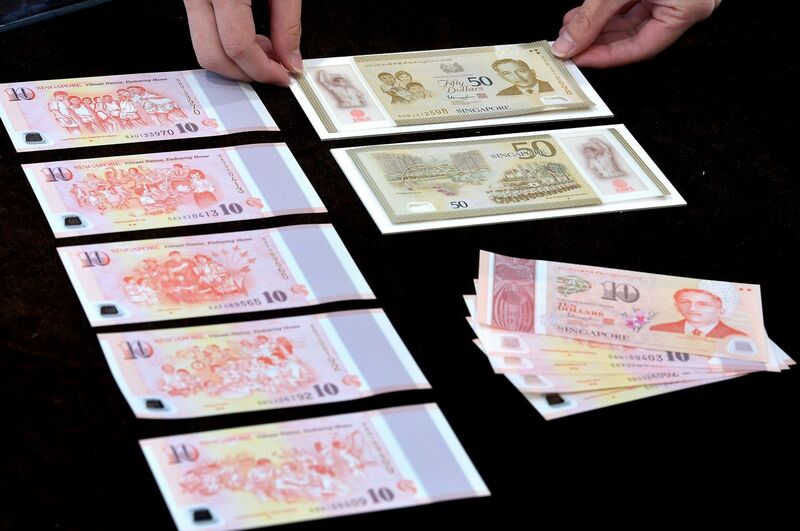 Each individual is allowed to obtain only five sets of the new notes.